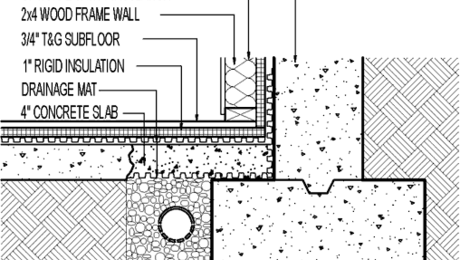 Many basements are wet, which is why more of them aren’t used for living space. A high water table isn’t always to blame; often basement get wet after heavy rains and melting snow seep in through the walls. The soil right next to a foundation is usually wettest because all the rain that hits the siding washes down the wall and collects next to the foundation. Houses without gutters dump even more water from the roof into the soil next to foundations. 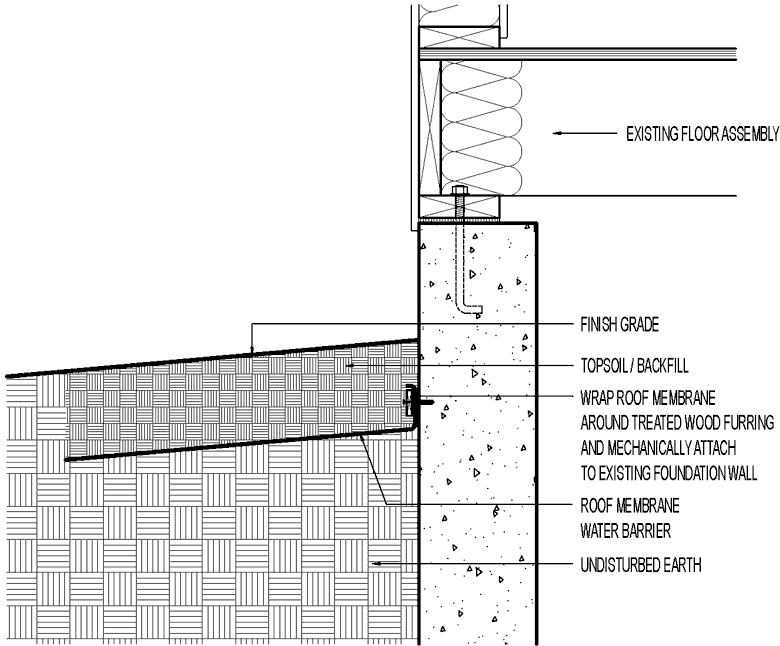 The usual ways to keep runoff away from foundations is with gutters and grading. But if the soil is sandy, sloped grade alone won’t always work. 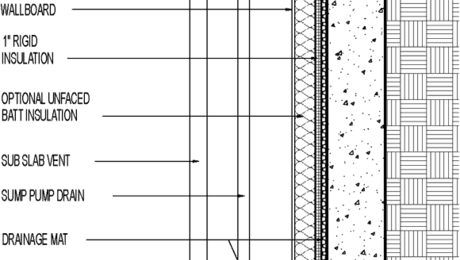 The best way to move surface water away from the foundation is to install an underground roof (also called below-grade flashing) made from heavy-duty plastic or roofing membrane attached to the foundation and sloped away from the house. 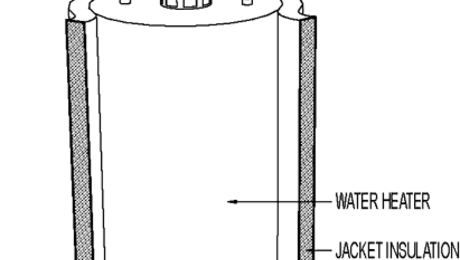 The depth depends on foundation plantings, soil type, and amount of surface water. Wet areas need deeper flashing. 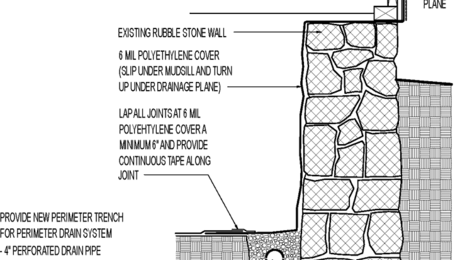 For more information about keeping foundations dry, visit the water management section of our Green BuildingEncyclopedia. See also: Ground Gutter, An Underground Roof, and In-ground gutters keep basements dry.